Anita Almond has pledged to raise £5,000 for East Lancashire Hospice where she receives care - through her £2 challenge. Anita Almond, 54, was diagnosed with ovarian cancer at the age of 47. The former hairdresser and Blackburn College tutor came up with the idea of a £2 challenge – which involves people donating to East Lancashire Hospice online and spreading the word by telling their friends. She planned to start the challenge at the turn of the new year. However, due to a major health scare, Anita decided to start early. Thanks to the help of an amazing medical team, Anita’s health improved enough for her to enjoy more time with her family and friends. Anita, who is still undergoing chemotherapy, said: “After the scare, I decided to start the challenge early - after all there’s no time like the present. Anita has already raised over £1000 in just three weeks. 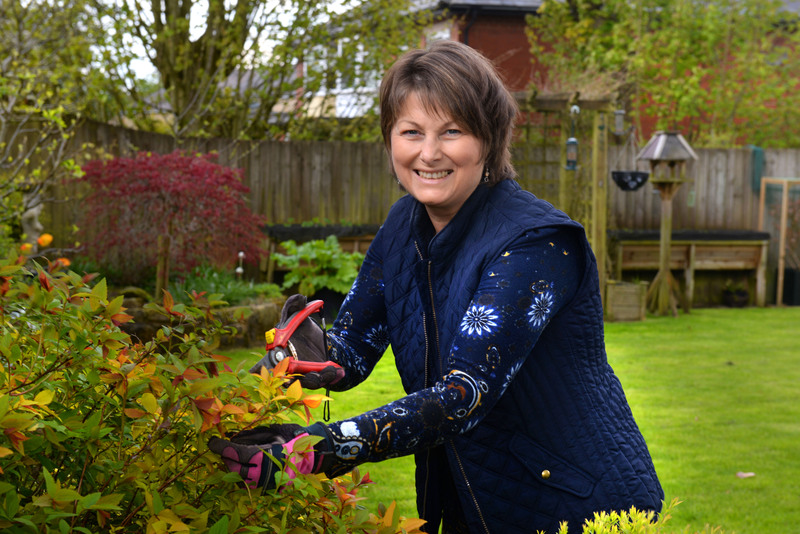 Anita has been attending East Lancashire Hospice for over four years. During that time, she has enjoyed complementary therapy, been advised on pain management, benefited from home visits by a Clinical Nurse Specialist and been helped with her end-of-life care plan. Earlier this year, Anita was asked to help promote the community services offered by East Lancashire Hospice and featured on various leaflets and advertising hoardings. She jokes that this was her first opportunity to be a real life "poster girl".